In a large bowl, combine the yeast, water and sugar. Cover and let stand for 10 minutes, or until the mixture becomes foamy. Add the eggs, yogurt, vanilla extract, salt and lemon zest. Mix well! Then stir in the flour a 1/2 cup scoop at a time until the dough shapes into a manageable ball. Plop it onto a lightly floured surface and begin kneading the dough for about 5 to 10 minutes (if necessary, add more flour until you can easily mold the dough and it's not sticky - this could take 4 or 5 cups of flour, so be patient!). Place dough in a large, lightly pan-sprayed bowl, cover, and let rise in a warm place until doubled, about 1 hour. (My grandmother always used a blanket to cover and wrap the entire bowl for warmth). While the dough is rising, preheat your oven to 350 degrees F and prep a round 8-inch cake pan with non-stick spray or paper. In a smaller bowl, toss the raisins. Punch down your dough ball in bowl, and then transfer it to a flat, floured surface - then kneed in the fruit! Form the dough into a ball, place in prepared cake pan, cover loosely with a towel, and allow it to rise for about 25-30 minutes. (Don't worry, it's normal for the dough to rise above the sides!) 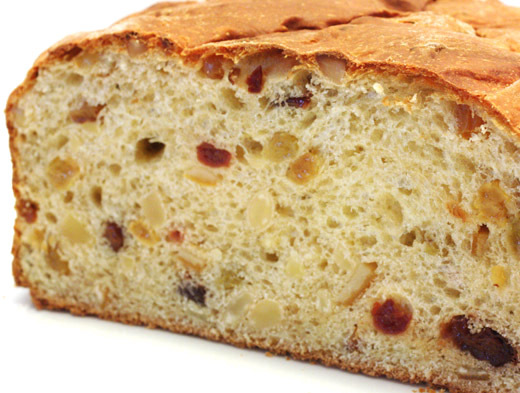 Brush the top of the panettone with melted butter, then bake for 45 minutes, or until it is a golden brown and a toothpick inserted in the center comes out clean. Voila! You're ready to serve this sweet treat to all your family and friends! **Note...if you don't like raisins, leave them out or add your favourite fruite like Papaya or Mango (up to you)! Then when your cake is finished, dust it with powdered sugar or drizzle with melted chocolate - both traditional and TASTY alternatives to this classic panettone recipe! Too much of an effort and no time to experience before Christmas day? 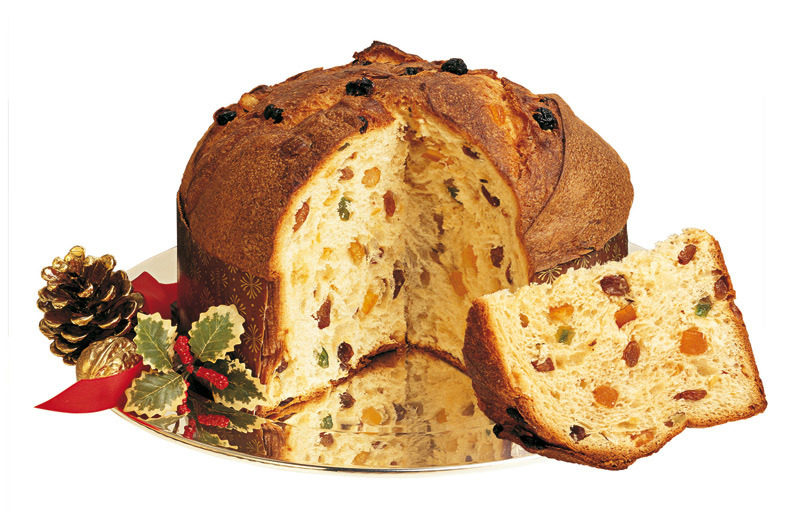 At Flavio's Italian shop we have a limited number of imported and ready made Panettone and Pandoro still available. So hurry up, come down to our Nadi store or at Va Bene (Garden City, Raiwaqa, Suva) and get your Italian Christmas dessert today.